With the warmer weather here to stay (hopefully!) this month we're dedicating our Best Dog Products search to helping you build a picnic for your dog. Whether you're heading on a day out or travelling for a weekend away, we hope we've found something your dog will love! In The Dog House – A unique dog house, you can make your dog feel right at home by personalising with their own name and framed photograph. 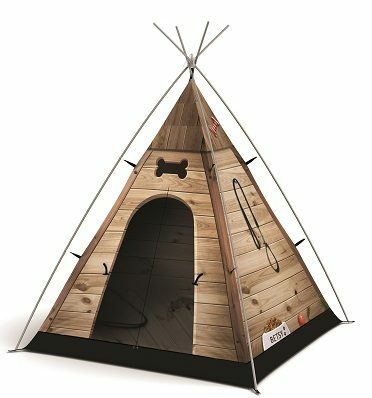 Waterproof and lightweight, it’s easy to assemble so you can take it on the move or set up at home and give your dog his own den! Sid’s Dog Day-Out Hamper – These packs are practical and fun, and contain a mixture of toys and essentials for an enjoyable trip. The wipe-clean drawstring bag is ideal for hanging up by the door or keeping in the car with all your dog’s things ready for that impromptu day out or trip away. Scruffs Balmoral Boot Bed – A perfect way to travel in style, comfort and protect your car from muddy paw prints. We never leave home without it! Machine washable, choose from three colours – black, blue and brown. Kurgo Collaps-A-Bowl – Soft, yet sturdy and dishwasher friendly, this accordion style dog bowl pops up for easy use. Around one inch thick when collapsed, its sturdy base makes it stable for use on the go! Tune in next month to read more reviews and recommendations - or why not make your own suggestions about what you'd like to find or test for you, comment below to get in touch!